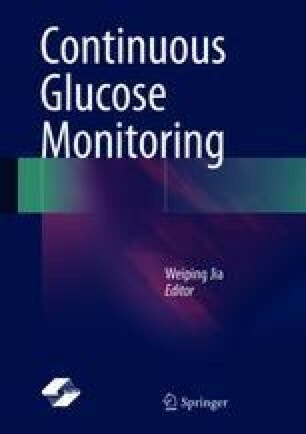 Continuous glucose monitoring (CGM) technology has been widely used in clinical practice. With the innovation and the development of technologies, CGM has continually become more ideal. Compared with retrospective CGM, real-time CGM technology improves the timeliness of glycemic monitoring and is able to sound an alarm when glucose levels are too low or too high, allowing physicians and patients to take appropriate measures in a timely manner. The joint use of real-time CGM and a continuous subcutaneous insulin infusion (CSII) system makes an artificial pancreas possible. At present, the low-glucose suspend (LGS) system and predictive low-glucose suspend (PLGS) system have entered clinical trials, and the effectiveness and safety of a closed-loop artificial pancreas have also been confirmed by a number of clinical trials. With the improvement of the intelligent algorithm, the artificial pancreas will duplicate the function of the pancreas more closely, and finally will achieve intelligent, individualized glucose management.